Somewhere along this path in life, in my late teens or early twenties, I gave up trying to meet my soulmate. I couldn’t find anyone I could connect with. And so, as well-intentioned friends do, mine coached me to lower my standards. Because I was worried about missing out… I did. Despite learning a lot, it never felt right. I’ve experienced disappointment after disappointment on the dating scene. Same story over and over, just different men in different places. It’s been a pattern I couldn’t seem to break. But then, a few weeks ago, I (thankfully) hit a wall with a guy I had been “seeing” a few months back. He got injured and asked if we could be friends–you know, because his injury was restricting his ability to date me. I obliged because I liked him and was afraid of losing him. I kept holding space for him in my life–consciously and subconsciously. “Sure,” I thought, “I can be his friend.” All the while refusing to honour the pain it was causing my soul. The irony is that he ended up telling me that my articles–just like the one you’re reading now–inspired him to go out and live his best life. So, he decided to jump out of a plane and hop on a motorcycle… with a back injury… the same one that prevented him from dating me. What a rookie! He gave up the game! And he made it easy for me to do the right thing, the thing I’ve been needing to do for a long time. I said, “NO MORE.” To him and every other man in my life that wasn’t getting me closer to my vision. To filling the role of “girlfriend” for anyone that refused to put in the effort. It was time, I decided, to start redirecting my energy towards what I really wanted — a loving and committed relationship. After working my way through a whole camp of Mr. Wrongs, Mr. Daredevil came forth and served his purpose. I (finally) cracked the code. I passed this training from the Universe. I was finally able to cry, release, and forgive–not for him, but for not knowing better in the first place. For not having mastered these lessons or having higher standards before. The quality of our lives is determined by the standards we keep. In every area of our lives–from business to romance to fitness. Taken collectively, our standards determine our experience of life. What we are willing to tolerate in ourselves and others is what we get more of. And so, as with anything in life, the way to improve a particular experience is to set better, higher standards. You are frustrated and disappointed. You feel as though you are settling. You’re not getting the results you want. Life feels a bit out of control in this area. At a gut level, something doesn’t feel right. You find yourself in potentially dangerous situations. You are unclear about how to get what you want. You feel like you are living in Groundhog’s Day. Note: not all low standards appear as low standards at first. In fact, sometimes they can look like high standards. For example, maybe you’ve found a super handsome, successful, sweet guy that your friends love, but just won’t commit to you. Or maybe you have a rockstar boss that refuses to pay you what you’re really worth. From the outside looking in, these things look good, even great. You’ve got “the guy” and “the job.” But no matter how good it looks from the outside, this guy and this job make you feel all those icky feelings above. Pseudo-high standards are often more difficult identify because they are hidden under an infinite list of justifications–like those washboard abs, that bright smile, or those piercing eyes. It doesn’t matter how beautiful your low standards are–you still have to call them for what they are: low. To change our experience, you have to get serious, be ruthless, and raise them. It’s unlikely that you’re going to reach the pinnacle of business success if you’re in an abusive, drama-filled relationship with a narcissist or you’re severely overweight. Maybe it seems like these things aren’t connected–but they are. If you choose not to look after your precious vessel, or hold yourself in high esteem, you are sending a signal to the Universe that you don’t value your well-being and happiness. This signal WILL prevent you from reaching your full potential in other areas–no doubt. This is why you see high performers striving to level up in all areas of their life (note: we don’t have to do this all at once). Authors like Tim Ferriss and Brendon Burchard have normalized talking about talk daily meditation, exercise, eating, and productivity habits and rituals. 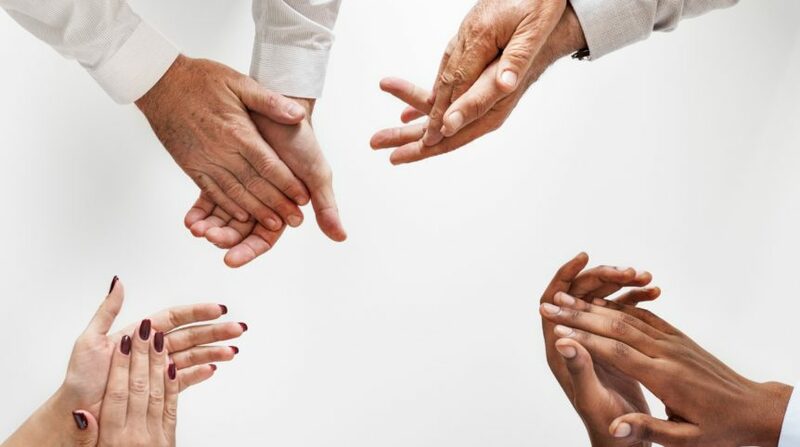 High performers realize that high standards at work are reflected at home, in the gym, in their relationships and how they present their body and their mind. They feed into each other in a continuous loop. One simply fuels and reflects the others. Low standards are inherited and conditioned; they aren’t yours. Don’t beat yourself up when you realize you have been holding low standards in a particular area. Likely, somewhere along the way, someone told you that you were dreaming too big and too wild. For example, my mum has, in not so many words, been reinforcing the idea that “no one really has a amazing relationship with their partner” over and over in my life. What do you think I kept seeing? Yep. Selection bias at work. The thing is–this standard wasn’t mine. It wasn’t even hers either. It was something that was passed down through generations. Most of us have low standards because they tie us to the people around us. We don’t want to disturb the herd. F*cking, herds… they ruin everything. Having high standards requires stepping outside the box and creating healthy boundaries. Most of us have never seen healthy boundaries before, so this takes hard work. The key is going with what feels right and consistently pushing back against the magnetic, societal force that keeps trying to pull you back under. Now, having high standards does not mean being a perfectionist. It just means you care about stuff–the details and the subtle nuances that ultimately comprise the big things. Being a perfectionist is exhausting. Don’t do that. To level up, you must repair the leaks first. The whole reason I had this epiphany in my dating life is because of a practice that I have when I’m preparing to “level up” in my business. I like to check where the boat is leaking, figuratively speaking. Because I know if there is a leak at one end of the raft, then the entire thing is at risk for sinking. This often looks like taking stock of my habits, happiness, and mindset in every area of life. To do this for yourself, take an inventory of what you’re life looks like. Is your house clean? Do you practice basic self-care and hygiene? Do you have a pile of mail on the kitchen table? Is your car full of dirty clothes? Do you keep your word with people? Do you arrive on time? Do you constantly look for bargains and not value your own time? Each of these small things has a disproportionate impact on your overall happiness and success. They are also a window into seeing and understanding how organized and directed your mind is. Change some of the “small” things and you’ll begin to see ripple effects in the big wheel areas of life. Standards are proof of your commitment. The result to my revelation and corresponding decision this past week? Unknown. Only time will tell. This is because I’ve actually created the space in my life for what I truly want to appear. I’ve drawn a line in the sand and said the words, “NO MORE.” And I’ve meant them, too. We’ve done the work and we will continue to do the work. We will NO LONGER settle for what does not serve our souls. We will uphold this promise to ourselves and the Universe. Anything that no longer reflects our standards has to GO. No excuses. No exceptions. This is the law now. Setting a high standard is a clear, coherent, and conscious decision. It’s as simple as that. In my case, I’ve refused to settle or accept that which doesn’t set my soul on fire. And I will prove, to the Universe and to myself, for as long as it takes that I will NOT waver. So, if you’re honest with yourself, where could you use to identify and elevate your low standards? In what areas of your life are you feeling frustrated and down? And what decisions are you going to make today to say “NO MORE”? The reality is, we get what we are willing to tolerate in ourselves and others. 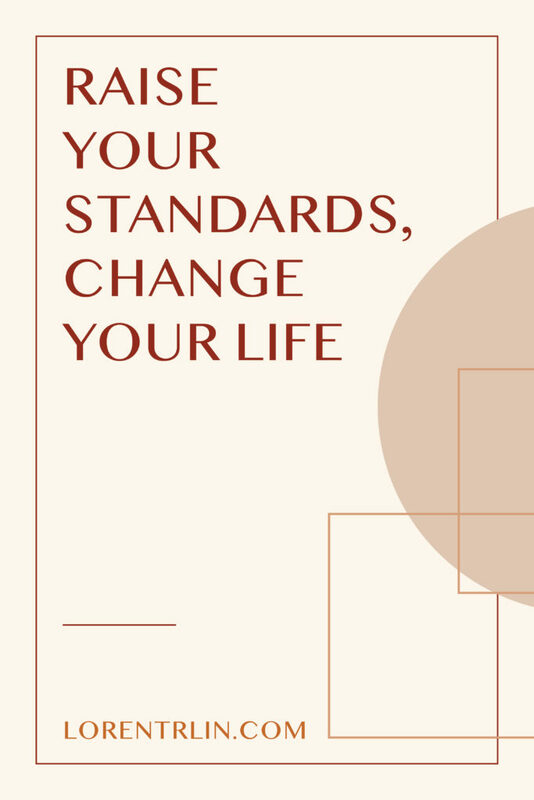 To change our lives, we must first changes our standards. Because the quality of our lives WILL, in both the short-run and long-run, be determined by the standards we keep. The good news? We can level up at any point in time. We can catch our low standards and raise them. We can put in the work to create a life that feels right, not one we have to settle for. The better news? We can use these high standards to encourage the people around us. We can actually create the lives of our dreams. We can lean in and step into our power. If only we are willing to let go of what doesn’t serve us and set the standards for what does.